I thought I had all of our curriculum picked out months ago. However, there is so much wonderful material out there that it just boggles my mind sometimes. We are going to change some of our plans and try a unit study this year. Unit studies are very different from the way traditional school is taught. Instead of having designated time and textbook for each subject, the subjects are all woven through a common theme. I have found a great curriculum called Konos that I think will help me include Rachel in some of our projects. I'll give you a simple example of how a unit study works. Konos lays out their lessons by character traits such as Attentiveness, Stewardship, Obedience, etc. Then within each character trait there are specific topics that each cover a 2-4 week period. 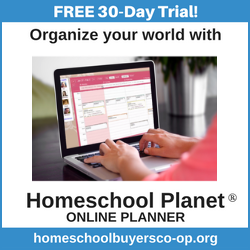 They also have a great online resource that helps gives parents extra background information, lesson plans, and basic encouragement to help share the material with their children. I've signed up for a trial of the online sessions and the trial is only available for a 3 week study of Japan under the character trait of Honor. So we are going to start studying Japan for the first 3 weeks of school. Through this unit study, we will cover Bible study by learning Bible scriptures about honor and loving all of God's people. Science will be done by learning about tectonic plates, earthquakes, volcanoes, and tsunamis including an experiment or two. We will study the history and culture of Japan by learning about their crops, their food, their way of life including cooking and eating some real Japanese food. We will also learn about the martial arts, samurais, and more modern events such as WWII and the recent devastation from the earthquake and tsunami. We will be learning a lot of new vocabulary words through this unit and we will practice spelling with these word lists. We will learn about servanthood through a good works program to help tsunami victims. We have tons of great literature from our library for reading, both fiction and non-fiction about Japan. I have books for Nicholas to read aloud to me and I have other books to read aloud to Rachel. And of course, we have lots of art projects. We're taking a slow approach to school this week just to get back in the swing of things but Nicholas has been so excited to start learning about Japan that I actually started a few things last week. We went to World Market to just browse the interesting imported foods and products to see if we could find some Japanese products to try. The kids each got to pick out one Oriental looking fan. I'm sure at least one of these will be broken before we actually use them with our Japanese costumes but fortunately they were only $2.00 each. We found lots of food from Japan. We got some supplies for our upcoming Japanese tea ceremony including a few Japanese cookies to go with our tea. This store has so many unique items from all over the world that it is easy to spend an hour just browsing. At one point I had to take the kids to the bathroom and for some reason Nicholas was nervous about going in the men's bathroom alone. I checked the women's bathroom and no one was in there so we all went in there. As I in the stall helping Rachel, I heard Nicholas wonder aloud, "What in the world is this?" I opened the door to find him studying the tampon dispenser! "Ummm, that's just girly stuff." Fortunately, he let that one drop! I thought it was neat that World Market has a promotion where through September 30th they are donating 100% of the net proceeds of sales of all products produced in Japan to Direct Relief International to help victims of the earthquake and tsunami earlier this year. It was a great introduction into some of the humanitarian efforts around the Japan disaster that I had planned on discussing with Nicholas.